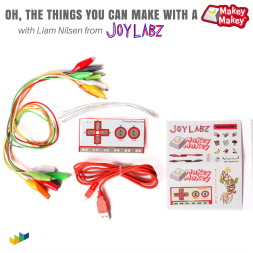 The Makey Makey invention kit turns any conductive material into the input device for a computer. For example, it can turn bananas into piano keys or turn bits of Play-Doh into a video game controller. The kit was named one of Consumer Reports’ “Best Tech Toys of 2014" and "Best of Toy Fair 2014" by Popular Science. Workbench provides an online platform that lets users access hands-on, project-based learning.